Named for the German poet Jean Paul, a contemporary of Goethe and Schiller, the Trio Jean Paul draws inspiration for musical expression from the inflections of literary language. The Trio’s admired poetic fluency serves music of any era – the group is as much at home premiering new works as it is performing works from the Classical and Romantic repertoire. 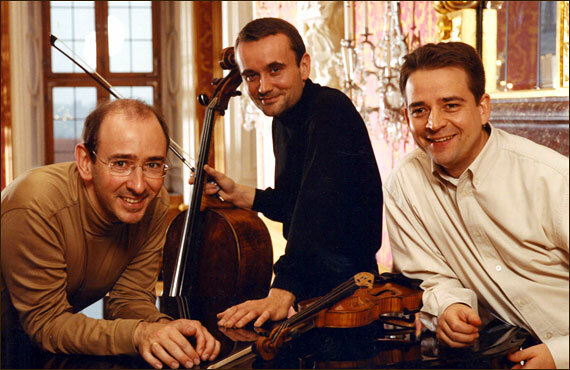 Founded in 1991, the Trio Jean Paul won early notice as the First Prize winner at international competitions in Osaka, Melbourne and Germany and remains one of today’s most esteemed and sought-after chamber ensembles. It performs frequently in Europe and has toured Australia, Japan, New Zealand and South America. In North America, the Trio has appeared in New York, Baltimore, Los Angeles, Vancouver, Quebec City and Montreal. Over the past few years, the Edmonton Chamber Music Society concerts have been held in several different venues. We would like to designate one venue as our main venue for future concerts. Please let us know what your favourite venue is and why you prefer it.